"Yanny or Laurel? Black & Blue or White & Gold Dress? Fixed or Floating Royalty? The Texas Supreme Court Decides Another Fixed or Floating Royalty Case." 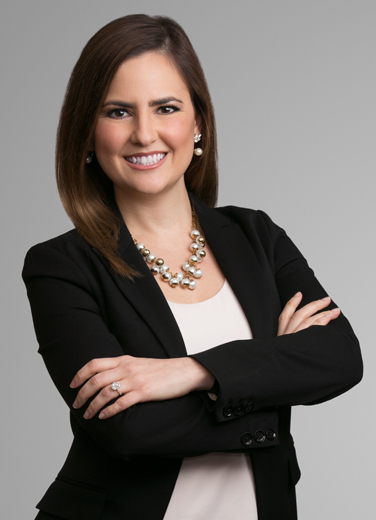 Jillian Marullo handles an array of civil litigation matters as both plaintiff and defense counsel, representing clients in many sectors, including the oil and gas, communications infrastructure, and commercial property industries. She has a diverse commercial litigation practice, with experience in general contractual disputes, insurance and indemnity matters, and disputes arising under mineral leases, farmout agreements, joint operating agreements, and commercial leases. This practice includes significant experience in oil and gas lease disputes, including lease maintenance and termination, royalty, implied covenants, offset well/drainage clauses, and other lease disputes. She also handles toxic tort and environmental litigation, including suits arising under the Clean Air Act, as well as cases involving property damage, trespass, and conversion. Jillian’s litigation experience also includes matters such as tortious interference with contract, breach of contract and warranty, breach of fiduciary duty, and negligent and fraudulent misrepresentation and concealment. She also has experience in defamation, business disparagement, unfair competition, and employment matters, including those related to non-competition and non-solicitation agreements, misappropriation of trade secrets, and breach of fiduciary duty. Jillian also provides advice to oil and gas industry clients pertaining to state and federal statutes and regulations, including the Outer Continental Shelf Lands Act and the Texas Natural Resources Code and related regulations, and represents clients in both onshore and offshore regulatory disputes and appeals, including in royalty and decommissioning disputes. Jillian has submitted amicus curiae briefs to the Texas Supreme Court in matters pertinent to the oil and gas industry.